[Update] – The Google OnHub team has now sent out emails to OnHub users indicating that Google Wi-Fi will work with OnHub. This is good news for sure as it means it isn’t a throw-away item but further development of OnHub itself is highly unlikely. Today Google announced their newest home wireless network solution, Google Wi-Fi. Designed to be a modular solution to cover any size home, Google Wi-Fi brings optimized networks to give you the best wireless experience in your home available. Sound familiar? It should because that is exactly what the company said Google OnHub would bring. That product, after months of frustration for users by the lack of development by Google, appears to have gotten its death warrant today. Last year, we introduced OnHub with partners TP-LINK and ASUS to create a better Wi-Fi experience, focusing on design and simplicity. Google Wifi, built on the strengths of OnHub, is our next step towards ensuring that our homes can have great Wi-Fi everywhere we need it. This new Google Wi-Fi is built on what they learned from OnHub but as for OnHub itself, it is game over by all indications. This shouldn’t come as a complete surprise although many who paid upwards of $200 for the router will not be happy. Like other pet projects, OnHub just never got the love it needed to really develop. It has, for example, a USB port that was never enabled. That could have been used as local storage. It is a shame, I really like the OnHub solution but it would seem the natural evolution of it has brought us to Google Wi-Fi. 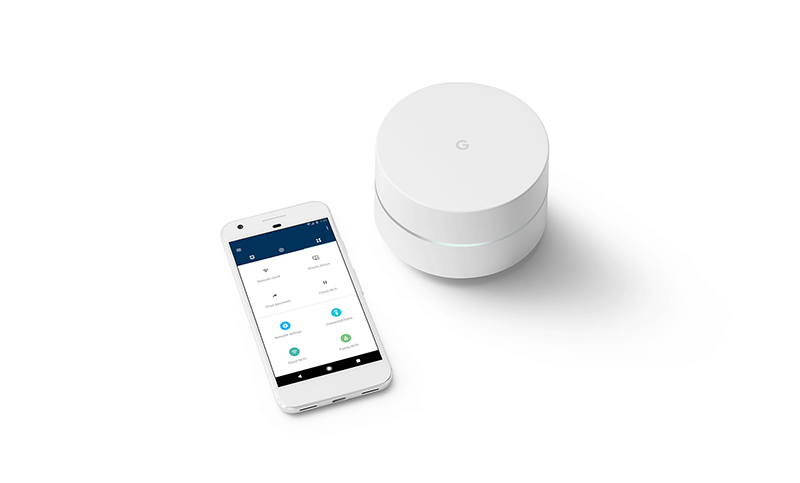 With Google Wi-Fi you can have multiple hotspots in your home and your device will automatically connect to the closest one to you without any interaction from you. It seamlessly flows from one hotspot to another, keeping you connected. It also monitors the traffic on your network to assure you are getting the best signal possible. The app for the solution will also be more advanced than that of OnHub, allowing you to pause connectivity for particular devices on-the-fly. Google Wi-Fi will be available in November for $129 and a 3-pack of hot spots for $299.